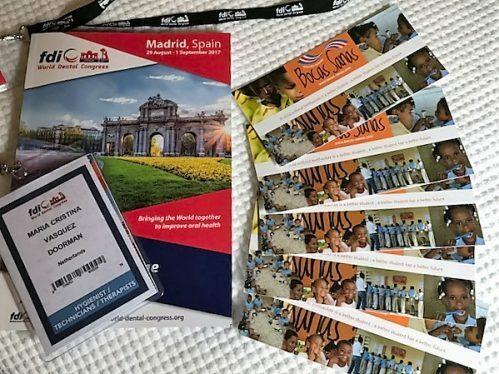 Board members Selma Burrekers and Cristina Vasquez are currently participating in the World Dental Congress 2017 of the FDI World Dental Federation in Madrid. Bocas Sanas Holanda-Maimón – School-based Oral Health Education and Hygiene Program(P411), which has been co-prepared with psychologist-oral hygienist Yvonne Buunk. Selma’s presentation is scheduled for Friday, at 10.45.